WordPress affiliate links cloaking plugins can easily Cloak Affiliate Links and hide those ugly long parameterized links that users see in the browser status bar when the mouse is held over a link. WordPress Affiliate link cloaking plugins and other online services are used to hide and protect your affiliates links. Normally affiliate links are long and ugly but with WordPress affiliate link cloaking plugins you can easily Cloak Affiliate Links to create short, easy to remember URL’s. There are so many free and premium WordPress affiliate link cloaking plugins are available for WordPress. I am going to this some of the most popular, up to date and best WordPress affiliate link cloaking plugins. With 200,000+ active installations, Pretty Link Lite is one of the most popular to Cloak Affiliate Links in WordPress. You don’t need to use tinyurl.com, bit.ly, or any other link shrinking service to create short links. In addition to creating clean links, Pretty Link tracks each hit on your URL and provides a full, detailed report of where the hit came from, the browser, Operating System, and host. Pretty Link Lite is a free plugin for all those bloggers and marketers who want to clean up their affiliate links. You can also increase the reach of your website by spreading custom short links on forums or comments on other blogs. ThirstyAffiliates is another up to date free affiliate link Cloaker plugin for WordPress, which makes it simple and easy to manage affiliate links. Thirsty Affiliate is a free plugin, many premium add-ons are also available. Thirsty Affiliates WordPress affiliate link cloaking plugin lets you manage all your affiliate links, assists you with inserting them into your posts, pages and comments and gives you a central location in WordPress to manage all of your affiliate links. Earn more with affiliate marketing using ThirstyAffiliates – the professional affiliate link management & link cloaking tool for affiliates. Autolinker ($49): Automatically link up keywords to affiliate links throughout your blog. Stats ($49): Simple to read historical click statistics for all of your affiliate links. AZON ($49): Search for & import Amazon affiliate links into ThirstyAffiliates with ease. Geolocations ($49): Geo-target visitors with country-specific affiliate links. 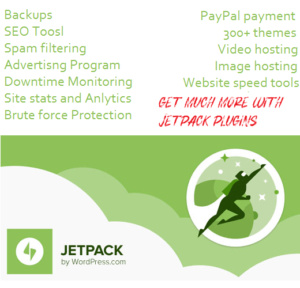 Slylinks for WordPress is the newest and premium WordPress affiliate link cloaking plugin to create, protect and control all affiliate links on your WordPress sites. With Slylink premium link cloaking plugin you can protect all affiliate links and downloadable files. You can also limit the number of clicks on any link – both general and specific to each visitor personally. With Slylinks premium WordPress affiliate link cloaking plugin, You can configure UTM Parameters for any of your links and be able to track every step of your promotional campaigns via the Google Analytics, evaluate their performance and optimize to improve earnings. You can read more about all advanced features at official plugin page. With safe affiliate links Premium WordPress affiliate link cloaking plugin for WordPress, You will be able to generate links to your website in seconds and monetize all your pages. The best part is that you will not have problems with search engines since Safe Affiliate Link’s special system generate links that are completely safe for SEO purposes. With Safe Affiliate links plugin ,there is no more penalizations for monetize your website with affiliation programs. Affiliate Links Lite is a free version of Affiliate Links plugin. This is an up to date WordPress affiliate link cloaking plugin. This is an advance WordPress affiliate link cloaking plugin to mask affiliate links. Affiliate Links premium WordPress affiliate link cloaking plugin allows you to mask any URL in order to create and shorten any internal or external links. With Link Click Stats feature You can see what happens every time someone clicks on your custom affiliate link. You can access all the details, such as how many times the user has clicked on the link, what browser they’re using, what language, etc. With Conditional Redirects feature you can personalize redirect URLs based on the visitor’s language, web browser, Operating system, and platform. With Google Analytics Tracking feature you can track each link click on your website as an event in Google Analytics. You can use the separate settings tabs to choose what you want to track. With 10,000+ active installations, Easy Affiliate Links is a popular free and up to date WordPress affiliate link cloaking plugin. Current features include short links to cloak your affiliate links, Easily access your links in the visual and HTML editor Assign categories to your links, Tracking of monthly and lifetime clicks, Import affiliate links from XML Ability to export your links to XML. With the Statistics Add-On, You can analyze Geospecific links, Analyze clicks over time, clicks per category, device, referrer, and so on. Helpie is the most advanced knowledge base wiki solution for WordPress. It helps you in creating, sharing and collaborating on content. Product Documentation – Helpie gives you optimized the search system to work super fast even with thousands of articles in your knowledge base. So your customers can find the answers they need, quickly. Internal Wiki – Allow only logged in users on your internal wiki and you can restrict access to specific topics to specific WordPress user roles. You can also add password protection to specific topics. 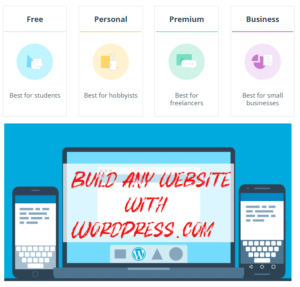 Creating Wikipedia like WordPress site – Helpie gives you an easy way to create, edit and review wiki articles Collaborating on content becomes so much easier with our new Medium.com like editor, revision system and publishing capabilities. That’s all. I have listed some of the best and most popular free and premium WordPress Affiliate Link Cloaker Plugins. With these link Cloaker plugins, you can easily manage affiliate links. Which plugin do you use to Cloak your affiliate links. Add your comments below. How to remove hidden external links in theme? I am not able to find them in coding but are visible when i check with External link checker tools. Use a security plugin to scan your website for malware or you can use https://sitecheck.sucuri.net/ free service.